A Renton Technical College student who came to this country as a refugee has been honored as one of the top 20 students in the U.S. for academic achievement at a community or technical college. When he was in high school in South King County, Mohamed Abdullahi says, his counselors never pointed out SAT deadlines or suggested he should be applying for college. When the Somali refugee tried to get into Running Start, the community-college program that offers college credit to high-school students, a counselor discouraged him from applying — until his mother intervened. But at Green River College, where Abdullahi first started taking college-level classes, he was challenged in ways that bore no resemblance to his high-school experience. And after graduation, when he enrolled in Renton Technical College (RTC) for a computer-science degree, he found a support system that recognized leadership qualities he himself didn’t know he had, and college instructors who encouraged him to get involved — as a tutor and, later, as a student leader. This month Abdullahi, who is 24, was selected to be on the All-USA Community College Academic Team, recognized as the most prestigious academic honor for students attending a community or technical college. More than 1,800 students were nominated nationwide for the honor, and only 20 were recognized. As part of that honor, he’ll receive a $5,000 scholarship and attend the American Association of Community Colleges Convention in New Orleans. He was also chosen to be a New Century Scholar, a scholarship program sponsored by Coca-Cola, which comes with a $2,000 scholarship. Earlier this year he was honored as one of five students selected for the state Transforming Lives Award — a state honor that recognizes students whose lives have been transformed by their pursuit of higher education at a community or technical college. Abdullahi’s mother, a refugee from Somalia, was one of the last of her generation to earn a college degree before civil war created chaos in that country. Abdullahi was born in a Kenyan refugee camp and came to the United States when he was just a few months old. 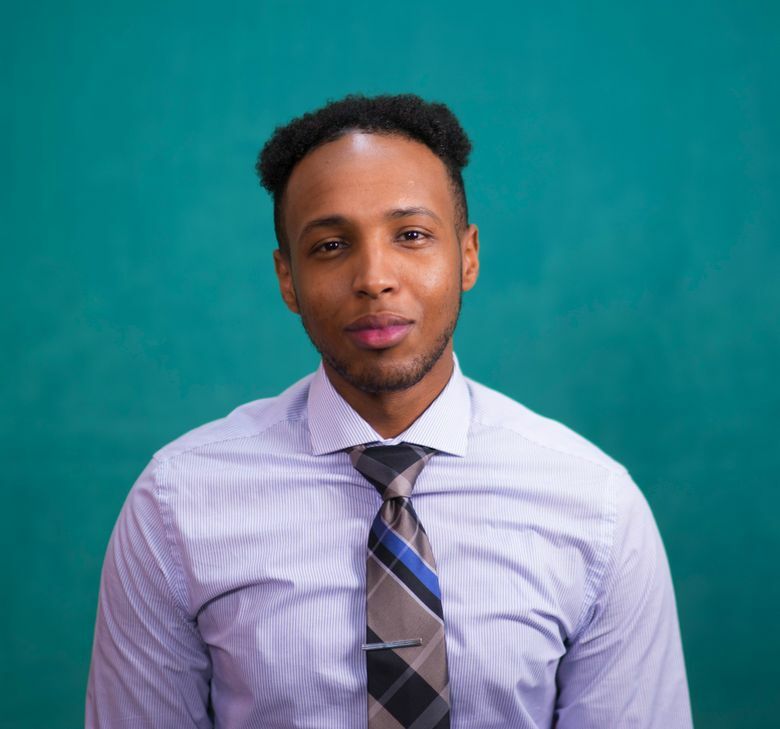 “First-world poor is a major step up from third-world anything, but it didn’t change the fact that we have always been poor,” Abdullahi wrote in his essay for the community-college scholarship. Chafing at the constraints of high school, Abdullahi began taking Running Start classes at Green River College — at the same time that his mother began earning a degree there in early-childhood education. After graduation, Abdullahi enrolled at Renton Technical College, where staffer Anthony Covington, who manages the learning resource career center, encouraged him to tutor his fellow students in English. Abdullahi was also one of the student leaders who helped create a service that fixes computers and other electronics for students, for free. Jessica Supinski, who directs student programs and engagement at Renton Technical, encouraged him to join student government — sometimes signing him up for leadership positions, then telling him later that she’d done so. Last year, as a member of the college’s budget committee, he argued persuasively, and successfully, to continue funding for tutoring, to start a calculator loan program, and to include money for bus passes as part of the college’s emergency-loan program. Together, Covington and Supinski “put me in opportunities to excel,” he said. Abdullahi has maintained a top GPA and is Renton Technical’s chapter leader of the honor society Phi Theta Kappa. He will graduate this spring and plans to begin applying to transfer to a four-year college later this year. His dream is to develop a technology that will provide internet access anywhere on Earth, no matter how remote. He hopes that will allow people to further their educations.